It is Mental Health Awareness Week from 14th to 18th May.  ELBA will be supporting the campaign to end the stigma associated with mental health. In particular we will be backing the Green Ribbon campaign. Last year over 85,000 ribbons were given out and this year the hope is that 150,000 will be worn. As well as a time to raise the profile of mental health issues, we also believe it is a time to celebrate all the good things that go on to promote positive mental wellbeing. A report for the GLA in 2014 estimated that for London alone, the costs of mental ill health are £26bn, including £1.9bn in lost productivity. 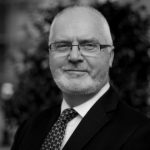 Many employers recognise the costs of not dealing well with mental illness among their staff and have adopted welfare programmes and introduced training for their line managers. 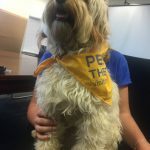 It helps when senior managers are prepared to publicly back the internal campaigns and the “This is Me” campaign includes a number of immensely brave and moving personal accounts by senior figures in business with the express intent of taking away the reluctance that people might have to talk about and deal with mental health issues. Many ELBA members are also members of City Mental Health Alliance and are pioneers in changing attitudes. 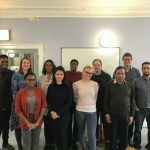 But their interest goes beyond their own staff – they are also interested in how to do their bit to support mental wellbeing in the community. During the past year we have been developing our initiatives for how business can play its part. Firstly, they can lend their support to the third sector organisations and charities that work in the field. 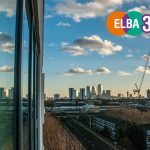 Business expertise in the form of people acting as directors or trustees, providing mentoring or coaching or getting involved in specific projects to support the organisation have always been part of ELBA’s activities, and we have been making sure mental health organisations are well represented in the mix. 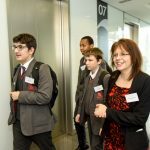 Some volunteers are willing to get more closely involved, and have been going into schools to engage school children in debates about what they can do to help themselves and support school communities which promote wellbeing. And we have a small army of business volunteers being active in the community doing a range of things that support community wellbeing. Last year there were close to 12,000 engaged in a wide range of activities – but many contributing directly to wellbeing. Firstly, the links between physical exercise and fresh air are well evidenced. That needs open space, and in particular room for children to run around. As the public resources for these places have become constrained, the input of voluntary organisations and volunteers becomes more vital. Then there is the community infrastructure and buildings which allow a plethora of sporting, arts, cultural, and family activities to take place. They all need looking after. 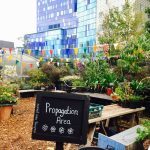 And these are the places and organisations where young people in particular can try different activities and can thrive by finding something outside of academic work that they are good at and which builds self-esteem. Finally, isolation is the scourge of modern life. Through social media anyone can connect to anyone, anywhere across the globe, yet the incidence of older people suffering loneliness has been growing. Through an inventive series of activities, ELBA volunteers have been doing their bit to ease the isolation that many of our elders feel. 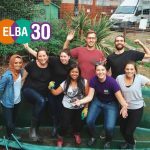 All in all, ELBA volunteers – and last year there were close to 12,000 of them – have shown that business can play a big part in promoting and supporting wellbeing and helping to bring hope and happiness to people, families and communities in the areas we serve. So get your green ribbon and wear it to show it’s ok to talk, but also to celebrate all those acts of giving.